The most comprehensive database of nature-based solutions for cities created to date. So far, the Urban Nature Atlas has collected evidence on 1000 nature-based solutions (NBS) interventions. With that, it provides the most comprehensive basis for the analysis of socio-economic and innovation patterns associated with urban NBS in Europe. Ecologic Institute was involved in the design and implementation of the database, which is intended to support research, policy and public relations. NATURVATION sought to collect evidence on 1000 NBS interventions from 100 European cities. The 100 cities chosen include 94 cities from the Urban Audit and 6 partner cities of the project (Barcelona, Győr, Leipzig, Newcastle, Malmö, and Utrecht). It was developed between January and August 2017 by the Central European University and the Ecologic Institute, with support from Durham University. The development process involved the creation of a web-based questionnaire, the development of data collection guidelines, the training of the data collectors from the Master’s Programmes of Central European University, Lund University and Utrecht University, collection of the cases and the quality control of the submitted data. The analysis of the identified NBS interventions was based on secondary sources (e.g. project reports and other project documents, websites, news articles, blogs etc.). Data was interrogated using discourse analysis. 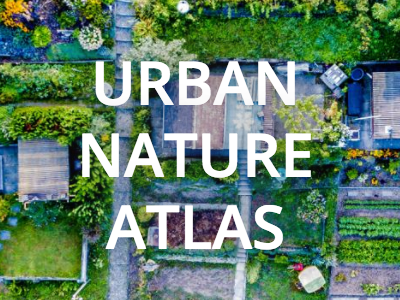 The Urban Nature Atlas has been produced as the result of the first systematic survey of nature-based solutions (NBS) interventions in 100 European cities. As a result of the data collection, in total 997 questionnaires have been submitted and 976 processed for further analysis. In line with the overall objectives of Naturvation, the database will serve both research, public policy support and outreach purposes. The Urban Nature Atlas was programmed by Ecologic Institute's Senior Web Developer Christian Bruhn in close cooperation with Sandra Naumann and McKenna Davis of the NATURVATION project team. The design has been created by Ecologic Institute's Visual Designer Beáta Welk-Vargová. Check it out at: https://naturvation.eu/atlas and see the full list of Acknowledgements.